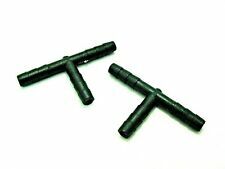 These can be use in a variety of applications such as windshield wiper and vacuum hose repairs. 1/8" ID-----qty 2. 3/16" ID-----qty 3. Part Number: 222 21003 368. Interchange Part Number : 16176 RCA A02, JG-48123, JG 48123, 222 21003 368. Part Numbers: 16176 RCA A02, 222 21003 368, JG 48123, JG-48123. To confirm that this part fits your vehicle, enter your vehicle's Year, Make, Model, Trim and Engine in theCompatibility Table. Authorized Fel-Pro Dealer. Fast & Free Shipping! 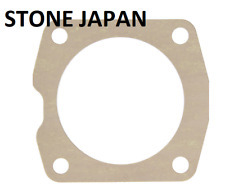 ProductGenuine Honda Gasket 17102-RLV-A01. Genuine Honda Parts. Cancellation Policy. We cannot take back installed or tried parts. We cannot take back used parts. In the unlikely event that a part has been placed on backorder or discontinued, we will do our best to try and find one for you as quickly as possible. Part Number: G31899. DISCLOSURE: PHOTOS DO NOT REPRESENT ACTUAL PART. Thermostat Opening Temperature: Not Applicable. Thermostat Included: No. Housing Neck Angle (): 45. FIND THE RIGHT PART FOR YOUR CAR. Overdrive has been in the automotive parts industry for over 15 years. Part Number: G32319. Throttle Body Gasket Material : Paper. We specialize in OEM (Orig.). Our employees are passionate and knowledgeable about all things car-related. Pictures are for illustration only, not responsible for wrong parts based on pictures. IMC MFG NUMBER CATALOG supplied your vehicles manufacturer with the Fuel Injection Throttle Body Mou. We think your vehicle needs 0. Last Updated: 04/23/2019 11:38:09 PM. The engine types may include 2.2L 2157CC l4 GAS DOHC Naturally Aspirated, 3.0L 2977CC V6 GAS SOHC Naturally Aspirated, 3.0L 2997CC 183Cu. We think your vehicle needs 0. Last Updated: 04/23/2019 11:38:13 PM. The engine types may include 2.2L 2157CC l4 GAS DOHC Naturally Aspirated, 3.0L 2977CC V6 GAS SOHC Naturally Aspirated, 3.0L 2997CC 183Cu. Part Number: G31899. Interchange Part Number : 61319, PB50355, G31899. Part Numbers: 61319, G31899, PB50355. 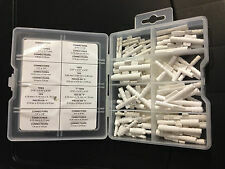 In Victor Reinz gasket sets, you get the right combination of components needed for fast, long-lasting repairs. Superseded Part Number: 4150 4160 Series Throttle Cable Bracket Interchange Part Number: 4150 4160 Series Throttle Cable Bracket. Holley 4150 4160 Red Billet Aluminum Throttle Cable Carb Bracket Carburetor 350. Blade Style: CONVENTIONAL. Overdrive has been in the automotive parts industry for over 15 years. FIND THE RIGHT PART FOR YOUR CAR. QUICK LINKS. MIRROR ASSEMBLIES. MIRROR GLASS. OTHER PRODUCTS. This part generally fits Acura, Honda vehicles and includes models such as CL, MDX, Odyssey, Pilot, TL with the trims of Base Sport Utility 4-Door, Cargo Mini Cargo Van 5-Door, EX Mini Passenger Van 5-Door, EX Sport Utility 4-Door, EX-L Mini Passenger Van 5-Door, LX Mini Passenger Van 5-Door, LX Sport Utility 4-Door, Touring Sport Utility 4-Door, Type-S Coupe 2-Door, Type-S Sedan 4-Door. MPN: 35162. Overdrive has been in the automotive parts industry for over 15 years. FIND THE RIGHT PART FOR YOUR CAR. QUICK LINKS. MIRROR ASSEMBLIES. MIRROR GLASS. OTHER PRODUCTS. Superseded Part Number: 4150 4160 Series Throttle Cable Bracket Interchange Part Number: 4150 4160 Series Throttle Cable Bracket. 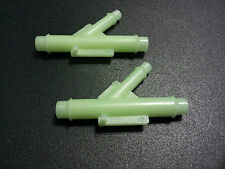 Other Part Number: RYANSTAR 4150 4160 Series Throttle Cable Bracket. 1×Throttle Cable Bracket. Victor Reinz is one of the top leaders in OEM and high performance gaskets. Victor Reinz has redefined the gasket sealing process with constant changes and upgrades to their gaskets. MPN: G31899. Throttle Body Gasket Material: Paper. Overdrive has been in the automotive parts industry for over 15 years. FIND THE RIGHT PART FOR YOUR CAR. QUICK LINKS. MIRROR ASSEMBLIES. MIRROR GLASS. Part #: 61331. Federal-Mogul engineers are continually pushing ahead with new sealing science- developing problem-solving products like PermaDryPlus rigid carrier gaskets. C7001-328759, FI Throttle Body Mount G.
MPN: G32319. Throttle Body Gasket Material: Paper. Overdrive has been in the automotive parts industry for over 15 years. FIND THE RIGHT PART FOR YOUR CAR. QUICK LINKS. MIRROR ASSEMBLIES. MIRROR GLASS. Part Number: G32319. Throttle Body Gasket Material : Paper. Part Numbers: 12593653, 16176-RCA-A01, 71-16539-00. To confirm that this part fits your vehicle, enter your vehicle's Year, Make, Model, Trim and Engine in theCompatibility Table. Part #: 61319. Federal-Mogul engineers are continually pushing ahead with new sealing science- developing problem-solving products like PermaDryPlus rigid carrier gaskets.